Browse the latest new homes by Mandale Homes nationwide. Believing small developments are better, Mandale Homes builds luxury homes in award-winning developments, creating friendly, welcoming communities, ideal for first-time buyers, families and downsizers. Its developments are usually less than 20 houses, making it easier to give each customer a more personalised service. 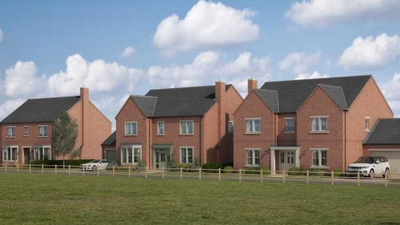 The housebuilder offers several schemes for those looking to purchase a property, including Help to Buy on Mandale Homes up to the value of £600,000. This allows purchasers to put down a 5% deposit, with the government providing a 20% equity loan, so the buyer needs to secure a mortgage for just 75% of the property. Part Exchange, Assisted Move and Buy-to-Let are available on selected properties. For those looking for a Buy-to-Let, the company offers the chance to buy one of its on-site show homes, and will sign up as a tenant for a set period. In 2017, the company’s Cavendish Vale, Slingsby development was shortlisted for Best Residential UK Development at the UK Property Awards. This development also won the regional UK Property Award for Best Residential Development in Yorkshire & the Humber. Choose a Mandale Homes development in this area.